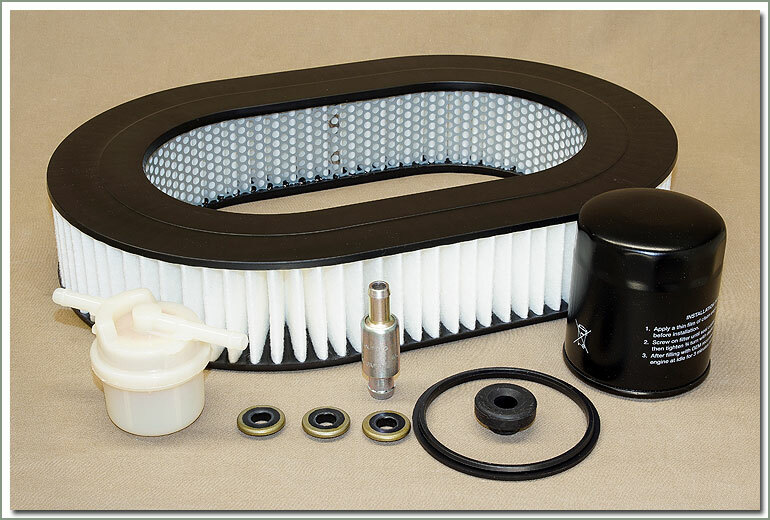 A clean air filter means clean air flowing freely through your engine. It helps keep it running smooth, at peak performance and fuel efficiency. 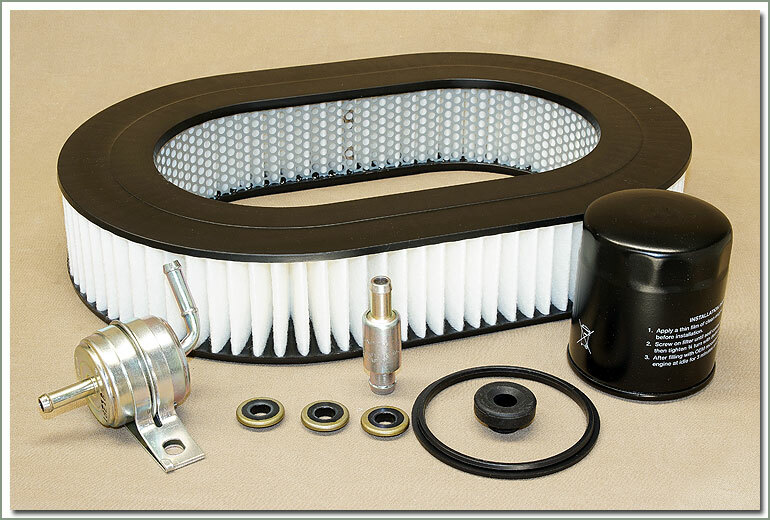 We offer air filter elements and air cleaner assembly parts for 1958 - 2007 Land Cruiser F, 2F, 3F, 1FZ and 2UZ gasoline engines, in stock and ready to ship. 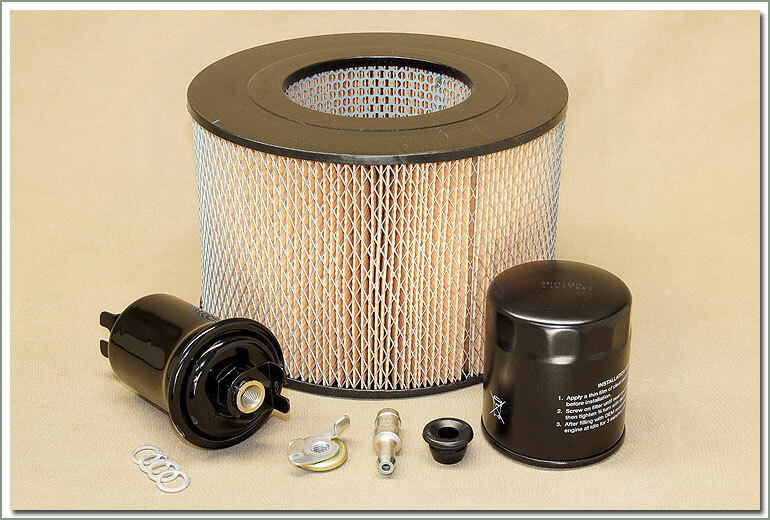 Specter offers OEM and aftermarket filters. 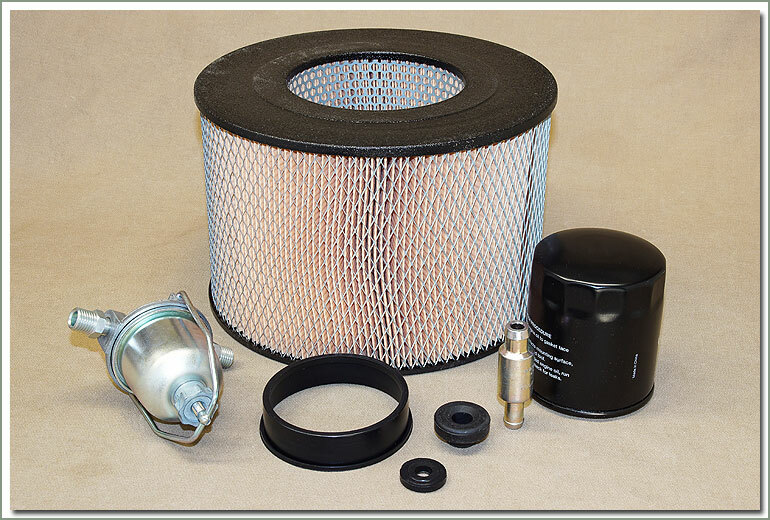 We also offer a complete Filter Kits for most Land Cruiser gasoline engine models. These kits include: Fuel Filter, Air Filter Element, Air Cleaner Ring Gasket, Air Cleaner Washer Grommet, Oil Filter, PCV Valve and PCV Valve Grommet. Specter recommends inspecting or replacing the air cleaner every 12,000 miles. Also check the ring gasket #012-04 and A/C washer #012-03 for a proper seal. 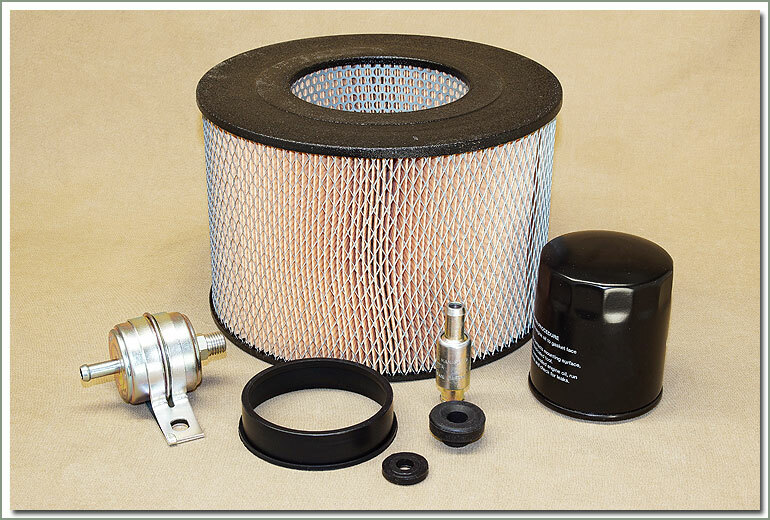 Fits 3/69-7/70 FJ40/55 - Comes with fuel filter, air filter element, air cleaner ring gasket, air cleaner washer grommet, oil filter, PCV valve, and PCV valve grommet. 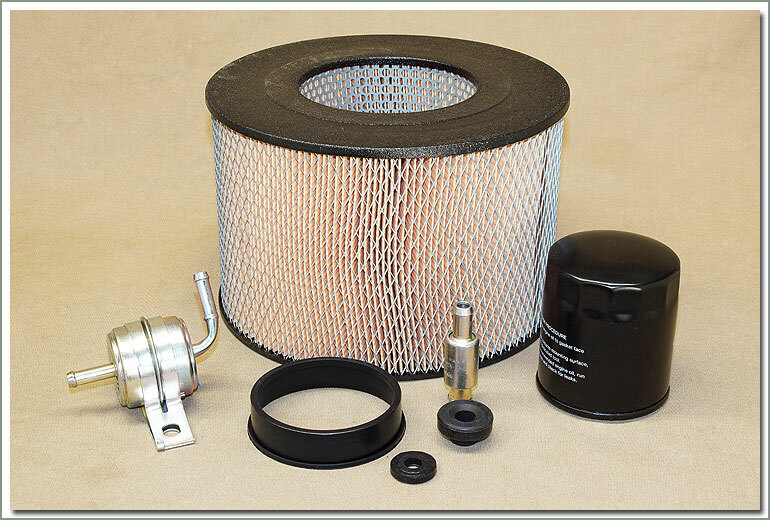 Fits 7/70-9/72 FJ40/55 - Comes with fuel filter, air filter element, air cleaner ring gasket, air cleaner washer grommet, oil filter, PCV valve, and PCV valve grommet. 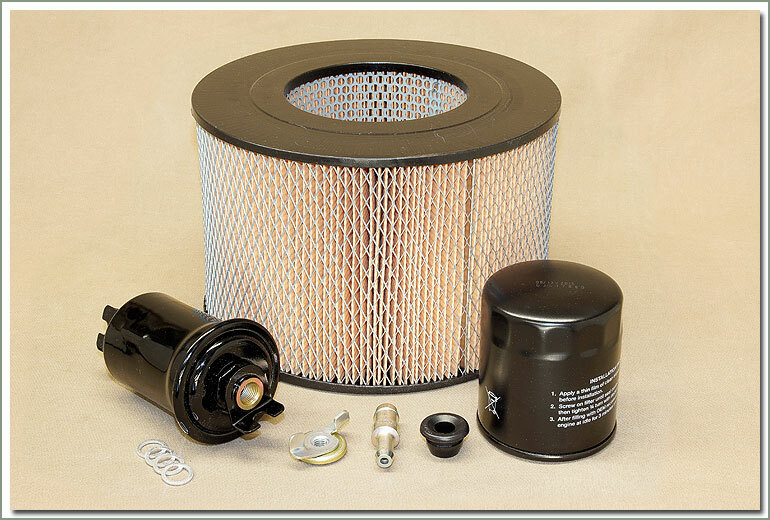 Specter offers a complete Filter Kit for your Cruiser. 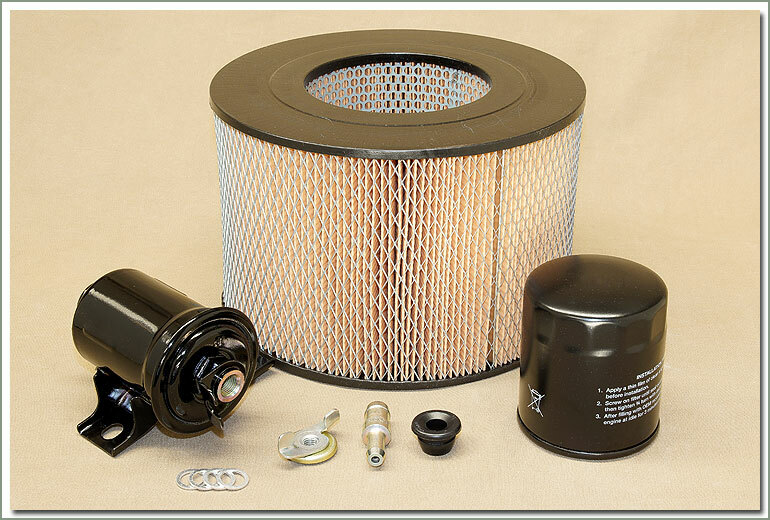 These kits include: Fuel Filter, Air Filter Element, Air Cleaner Ring Gasket, Air Cleaner Washer Grommet, Oil Filter, PCV Valve, and PCV Valve Grommet. 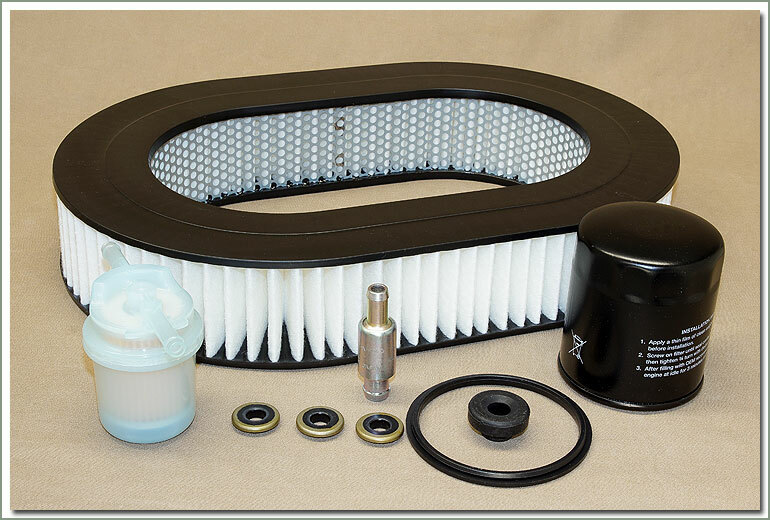 Specter recommends inspecting or replacing the air cleaner every 12,000 miles. Also check the ring gasket #012-04 and A/C washer #012-03 for a proper seal.